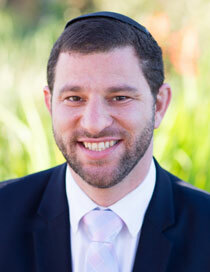 Rabbi Steven Dansky is the new Rabbi of Redbridge Synagogue. He studied at the Ateres Yisrael Yeshiva in Jerusalem and gained both a BA (Hons) in Psychology and a MA in Organisational Psychology from the University of the Witwatersrand in Johannesburg. He received rabbinic ordination after studying at the Kollel of the Judith Lady Montefiore College.Steven focuses on the interplay between traditional rabbinic ideas and psychological theories and concepts. His approach is inspired by the teachings of Emeritus Chief Rabbi Sacks onTorah v’Chochmah – the great partnership of religious and scientific thinking. He is married and has two little girls who are his pride and joy.